Diffusion Magnetic Resonance Imaging (diffusion MRI) can provide important information about tissue microstructure by probing the diffusion of water molecules in a biological tissue. Although originally proposed for the characterization of cerebral white matter connectivity and pathologies, its implementation has extended to many other areas of the human body. In a parallel development, a number of diffusion models have been proposed in order to extract the underlying tissue microstructural properties from the diffusion MRI signal. The present study reviews the basic considerations that have to be taken into account in the selection of the diffusion encoding parameters in diffusion MRI acquisition. 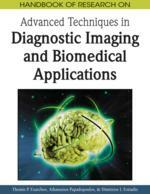 Both diffusion tensor imaging (DTI) and high-order schemes are reviewed. The selection of these parameters relies strongly on requirements of the adopted diffusion model and the diffusion characteristics of the tissue under study. The authors review several successful parameter selection strategies for the imaging of the human brain, and conclude with the basics of parameter optimization on promising applications of the technique on other tissues, such as the spinal cord, the myocardium, and the skeletal muscles. We introduce below the q-space formalism to describe the evolution of the transverse magnetization of the spins of protons of the water molecules. The prototypical diffusion MRI experiment is based on the pulsed-gradient spin-echo (PGSE) sequence, which uses two identical gradient pulses inserted on both sides of the 180º refocusing pulse of a conventional spin-echo sequence, following the formulation of Stejskal-Tanner (Stejskal & Tanner, 1965). A schematic of the PGSE sequence is given in Figure 1. The diffusion gradient is labeled g, the diffusion gradient duration δ, and the spacing between the diffusion gradients Δ. Since the diffusion gradient constitutes a vector quantity, it can be further described by the product of its amplitude g and a unit vector . Schematic representation of the pulsed-gradient spin-echo sequence. Diffusion Spectrum Imaging (DSI): Method for the reconstruction of ensemble average propagator based on the 3D inverse Fourier transform of the complex echo attenuation signal in 3D q-space. q-Space: Reciprocal vector space of average spins displacement. Apparent Diffusion Coefficient (ADC): Diffusion coefficient derived from the normalized diffusion signal along a specific encoding direction. Pulsed-Gradient Spin-Echo (PGSE) Sequence: The basic diffusion-weighted spin-echo sequence employing two identical gradient pulses on both sides of the refocusing pulse. High Angular Resolution Diffusion Imaging (HARDI): Measurement of diffusion coefficient along a large number of non-collinear directions. Diffusion Tensor Imaging (DTI): Basic diffusion model representing tissue diffusion as an anisotropic Gaussian diffusion process described by a second rank tensor. q-Ball Imaging (QBI): Method for the reconstruction of the orientation distribution function from diffusion measurements taken on a sphere in q-space based on the Funk-Radon transform. Fractional Anisotropy (FA): Metric of the anisotropy of the diffusion tensor in DTI. b Value: Variable expressing the amount of diffusion-weighting on a diffusion MRI experiment.